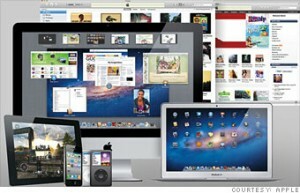 The death of Steve Jobs, co-founder and CEO of Apple Inc., is considered as a great loss to the technology industry. His valuable contributions and innovations, from the introduction of Mac to the latest iPhone, have changed the world’s communication and information systems and even more, touched the lives of millions. His life stories of success and failures have inspired business leaders, entrepreneurs and consumers around the world. At the age of 56, Steve left a legacy to the tech community and he will be remembered as a person of passion, energy and vision. Here are some notable statements from Steve Jobs, the visionary and creative genius in the world of technology. 2011 August 24; Resignation Letter: “I have always said if there ever came a day when I could no longer meet my duties and expectations as Apple’s CEO, I would be the first to let you know. Unfortunately, that day has come.